When combined with the Flexible Box Model, it's possible to create some mind-bending layouts with nothing but CSS. I also use CSS to build “universal” apps that adapt intelligently to different form factors. The properties min-device-width and max-device-width can help detect whether an app is running on something the size of a phone or something the size of a tablet. Smashing Magazine has a good tutorial on this subject. CSS can't resize images. Yeah, you heard me. CSS can scale down an image, but it can't resize an image. A 250KB image is still 250KB whether you display it at 100% or 50% of its intrinsic size. To properly scale images for all kinds of devices, you'll need the help of a transcoding service. Getting to the promised land—we're talking about apps that adapt to portrait and landscape modes and work across a variety of devices and perform really well—is easy with App Cloud. Here's how. In the above example, "doing something" might mean loading different stylesheets or disabling a certain feature that isn't available on Android. The pièce de résistance of responsive design is being able to resize and crop images on the fly based on runtime conditions such as screen size and pixel density. You can do this with App Cloud's image transcoding API. 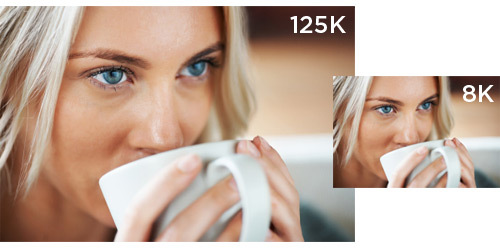 Retina images are typically four times as big as normal images (double the width times double the height), so consider using a multiplier between 1 and 2 to lighten the load a bit while still improving quality. You can also crop images with the image transcoding API rather than rely on CSS tricks. Remember, every bit counts in a mobile app. Load only what you need when you need it. You can see all of these techniques at work in the App Cloud Demos repository on GitHub. The promised land is closer than you think!